Big Brothers Big Sisters of Bermuda [BBBS] held its first graduation on June 3 for the B.I.G. [Being In a Group] program, a subsidiary venture to its main one-on-one matching program. The six graduates included Charis Burrows, Armel Cann, Shabrique Henderson, Jahmal Hewey, Jayvyn Iris, and LaRoy Trott. A spokesperson said, “The B.I.G. program commenced in October 2015 and was designed to provide some support to the more than 80 unmatched Littles at Big Brothers Big Sisters . Parents were advised to register their children who would receive up to 50 hours of youth development support over a 9 month period. 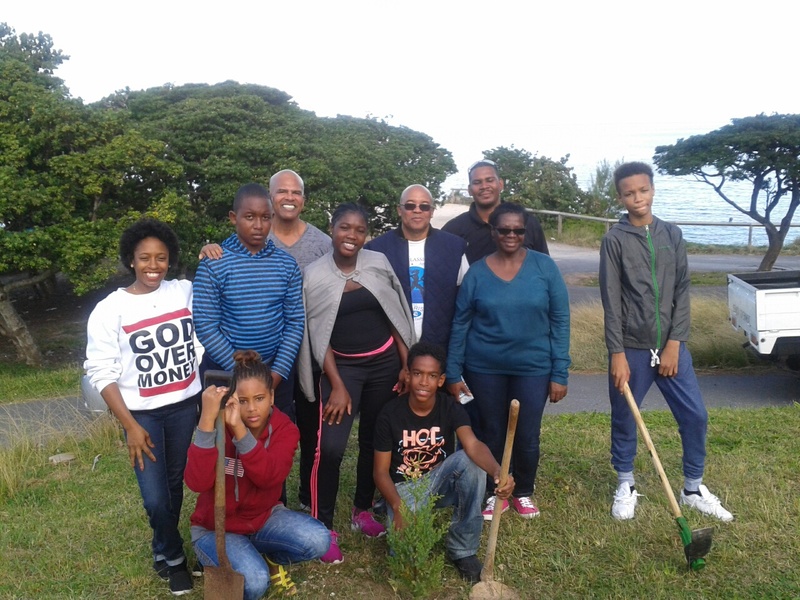 “Hence, during the community outreach portion of the program, the group brainstormed and chose that they would plant a tree for their community outreach work. “In their “being charitable to others” portion of the program, they chose to raise money to buy a wheel chair of a former unmatched Little brother of the BBBS program, Jaime Brangman, who has Cerebral Palsy. For this project the group raised $1,308 over a 3 month period doing a car wash, bake sale and group bowling competition. “The Littles worked in a group on the projects with Big Volunteers, Damon Watson, George Outerbridge, Salintae Tuzo-Smith and Janice Holdipp throughout the 9-month period. They graduated, parents felt, with notable improvement in the 5 “c”s of youth development – confidence, competence, connection, character and caring/compassion. “The program commences again in September 2016 with new recruits and the above Littles, if they are still unmatched, serving as junior leaders. It is unfortunate that a number of kids do not get matched, but I commend BBS for expanding their program in this way so that unmatched kids can benefit! This is awesome! May this endeavour continue!